Help us get cancer survivors back to "normal" with education, coaching and workshops by donating here today! The BALANCE AFTER CANCER Foundation (BACF) provides FREE resources on how to get back to "normal" after a cancer diagnosis. 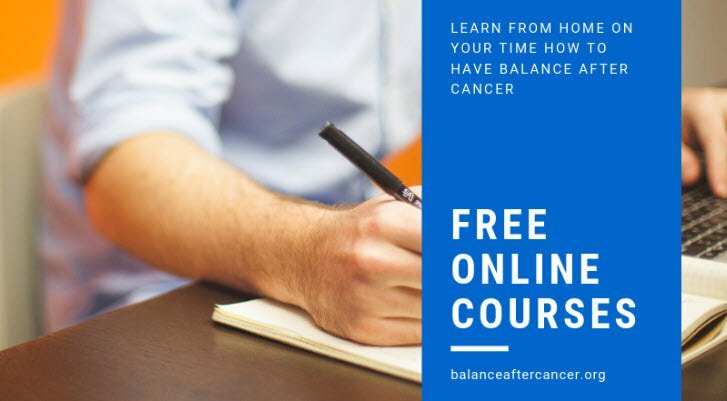 With a unique mix of FREE resources for any need and learning preference such as online courses, one on one help, workshops, workbooks and books, we can help you bridge the gap for your life after cancer. ​Our organization partners with nonprofit organizations that help people affected by cancer - find out more about our Partnership Program. BACF offers online education and creative programs, one on one coaching and books and workbooks. Please make your tax deductible donation here to help support our mission to provide survivorship support to those who have been diagnosed with life changing illnesses and their families. The Time Between Is, Inc. created The Balance After Cancer Foundation to provide programs around empowering people who have received life changing diagnoses with career development training. Please donate, if you can, to help us continue our work. Your donation is tax deductible.